10 ml bottle, cap with brush. Treatment of fungal infection of the nails: If necessary, roughen the surface of the nail with a file, wash and dry before applying the lacquer. Apply a thin layer of lacquer to the whole of the affected nail surface using the brush contained in the cap and allow it to dry. 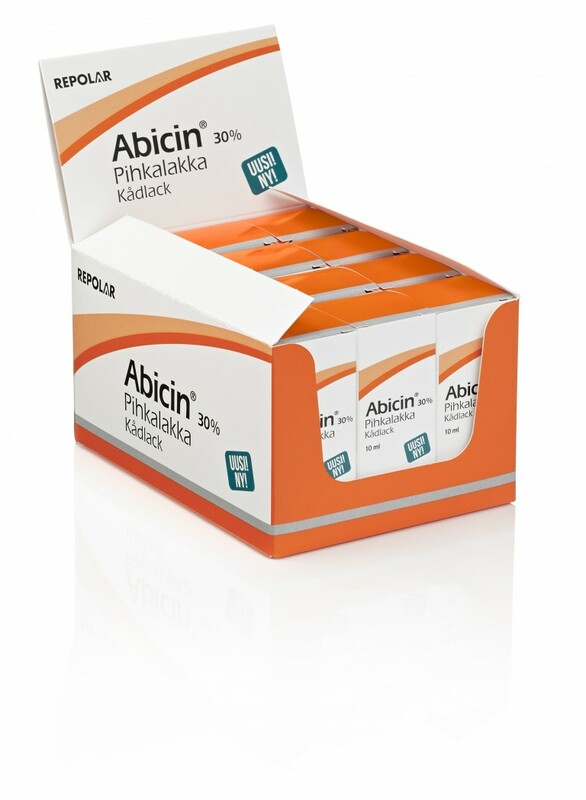 Continue treatment with Abicin® twice weekly until the damaged nail has been replaced by a new, healthy nail. Treatment of bacterial paronychia: Apply a thin layer of lacquer to the whole of the affected area using the brush contained in the cap and allow it to dry. 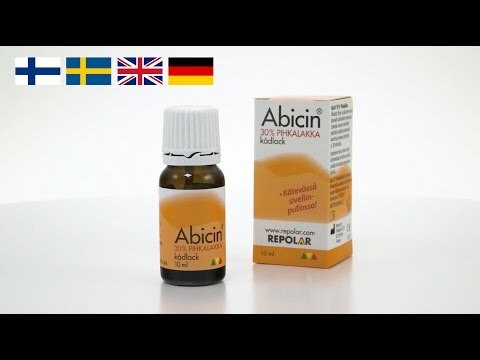 Continue treatment with Abicin® daily until the affected area is healed. Treatment of Athlete`s foot (fungal infection of the skin): Apply a thin layer of lacquer to the whole of the affected skin area using the brush contained in the cap and allow to dry. 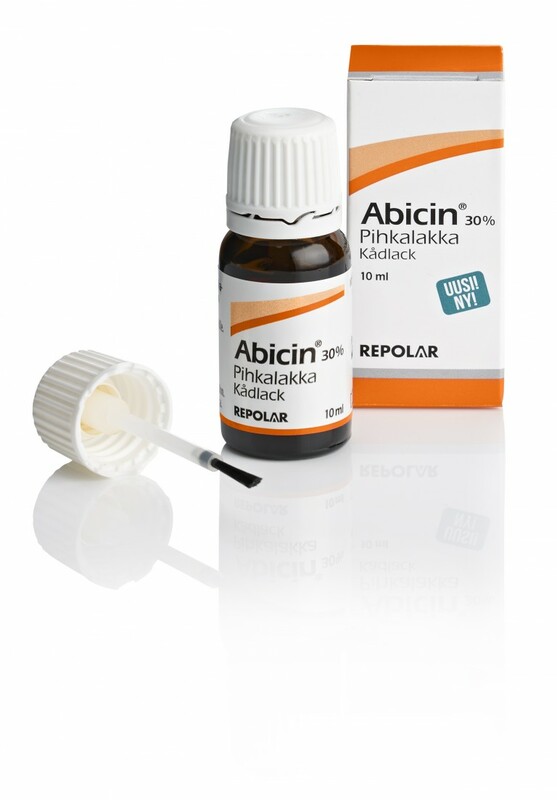 Continue treatment with Abicin® twice weekly until the infected skin has been replaced by a new, healthy skin.